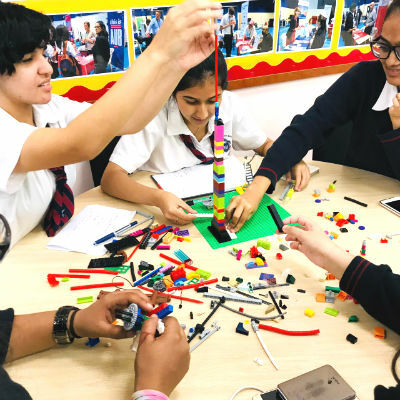 GEMS Winchester School is a modern international school that offers an outstanding British curriculum education to children from foundation stage to year 13. 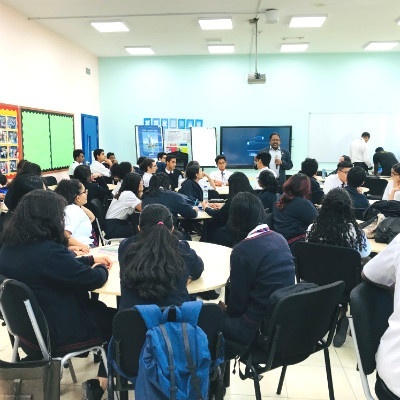 Prof. Chris had a group of 60 plus students – seventeen to eighteen-year-olds – engrossed and enraptured, helping them redesign the future of education. 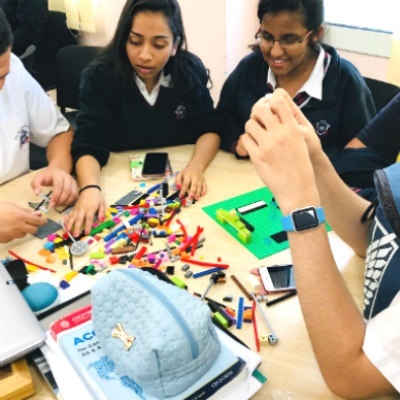 The young students were engaged enthusiastically in using simple Lego blocks to derive profound insights into the future of learning spaces, pedagogy, the role of teachers, technology-enabled learning and personalised learning environments.